This is a MIDI controller that is based on the Ondes Martenot. 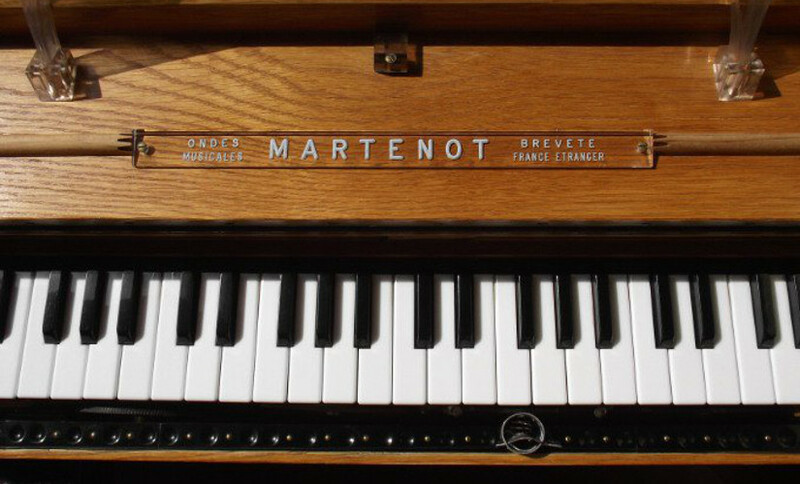 The Ondes Martenot is a French electronic instrument that was invented in the 1920s. 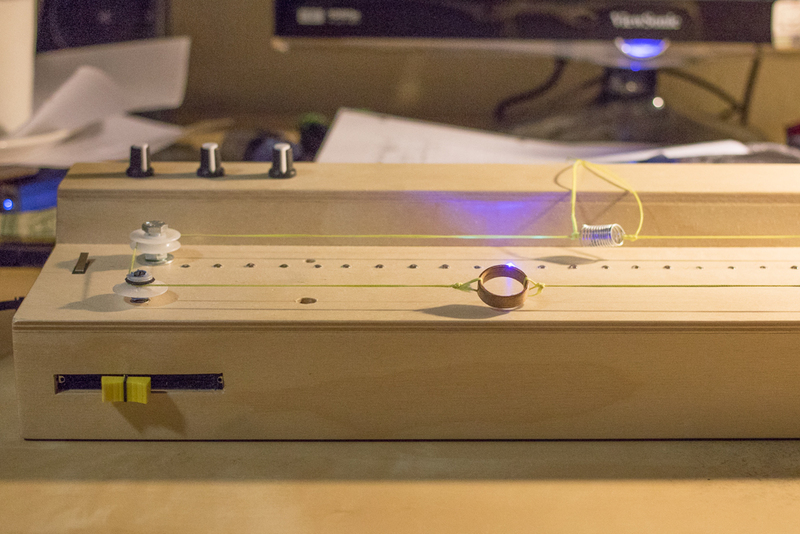 It is a synthesizer that uses a pulley system for controlling and playing notes. Instead of discrete notes like a piano, the stringed pulleys allowed the users to slide between notes and octaves without “steps”. It is very similar to a Theremin, except that there is a physical interface rather than playing in air. 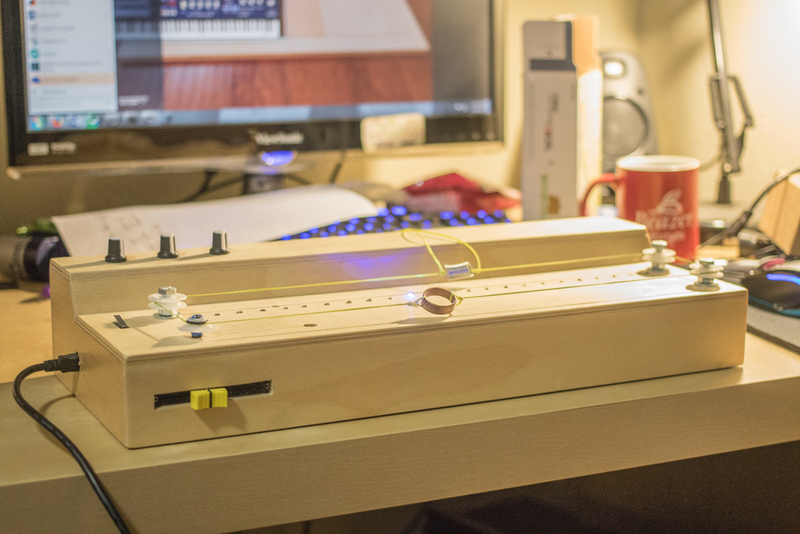 My project utilizes Serial communication to route MIDI messages into a synthesizer program to mimic the sound and interface of the Ondes Martenot. For my variation, I wanted to capture the feel and vibrato capabilities of the ringed pulley system. The main components of my project was an Arduino and a 10 turn potentiometer. The Arduino uses analogread() to measure the voltage of the potentiomenter and maps that to a range between 0 and 1023. The 10-turn capability allows for more precise control, a larger resolution, and essentially more note capabilities. The shaft of the potentiomenter is attached to a plastic pulley. A string connects the four pulleys of the project together. A spring is connected in the string loop to keep everything in tension and minimize slippage. A wooden ring is also tied in the loop for the user to slide with. When the microswitch is pressed, the synthesizer plays the note Middle-C. The potentiometer controls the pitchbend amount of the played note. Sliding the ring right shifts the note to a higher octave. Sliding the ring to the left shifts the note to a lower octave. The 24 LEDs are mapped to the current pitchbend amount. The 0-1023 resolution of the potentiometer is subdivided into 24 sub-intervals. A LED lights up when the pitchbend value is within its subinterval. The LEDs are controlled by three daisy-chained 8-bit shift registers. On the embedded-code side, the Arduino reads digital values from the various potentiometers and translates them to MIDI messages. A MIDI message is essentially a 8-bit number, of which the the first 4 bits correspond to a certain command. The last 4 bits correspond to the value to operate the command on. For example, 1001xxxx is a NoteOn event. The remaining 4 bits determine the note that is played. The Arduino sends these sequences into the Serial port of the computer via USB. A program called “Hairless-midi” routes the Serial port output to a MIDI port. The MIDI port is then configured with synthesizer software to play the notes. I am using KORG M1 because it had the highest pitchbend capabilities so that I could cover more octaves. 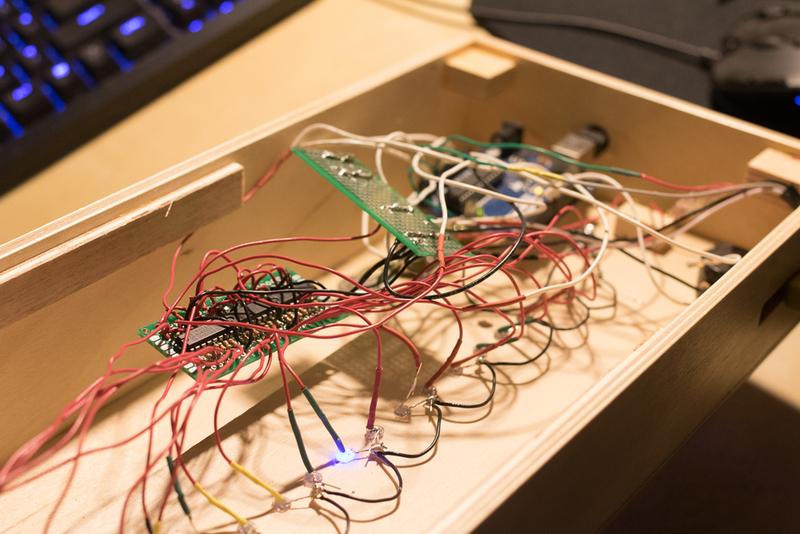 This MIDI controller project is alright for the most part. A notable problem I had is that the string slips from the pulley during slides. This results in inconsistencies when playing notes. A specific position on the board won’t always match with a specific pitchbend. The string and pulley have to be reset between playing sessions. For the next version of this project, I plan to ditch the potentiometer all together and replace it with a soft touch strip. A touch strip is essentially a potentiometer, where its resistance is controlled by pressure along the strip. With this, I would eliminate the pulley slide problem without losing the feel and vibrato of the Ondes Martenot.